Reduces hair density and speed of regrowth using a unique formula contain black truffle extract which has been shown to inhibit hair regrowth after waxing. Ideal for anyone who suffers from sensitivity caused by shaving or with thick hair regrowth and in-grown hairs. Several years ago a French cosmetic chemist wanted to know why nothing grows under oak trees when there are black truffles growing in the soil. An extract from the truffles was found to inhibit plant growth under the oak trees and it is this same extract which was later found to inhibit hair regrowth after waxing. 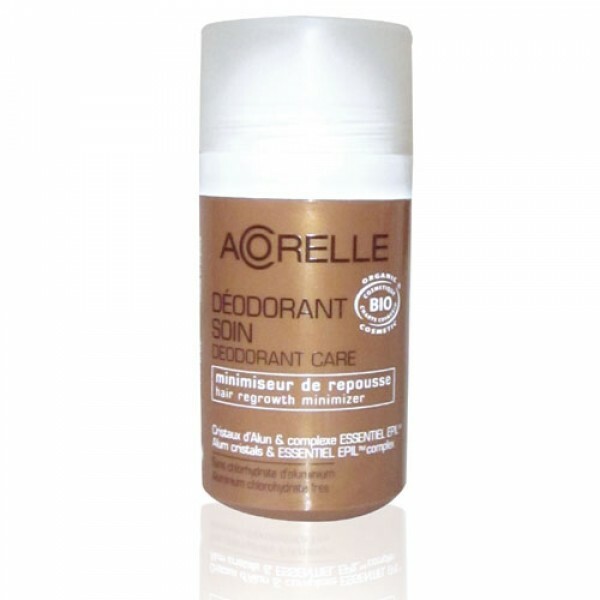 The extract does not make the deodorant smell of truffles though, a combination of essential oils give a fresh floral scent. Most effective after waxing and hair removal procedures where the hair root is removed. Roll under the arms after waxing, then use daily until the first hair re-growth appears. Stop use at this point and allow hair to grow for next waxing session. With regular use the time taken for first hair regrowth will increase and the density and thickness of hair will decrease.